Back in September 2015, Cisco and Apple made waves in the technology industry by announcing a partnership aimed at delivering a “fast lane” for Apple iOS business users, promising a much more streamlined experience for iOS customers using Cisco networks. A surprise to many; Apple playing nicely with other technology providers has never been a common sight ever since the dawn of fruity dominance in the tech world. Somewhat alike some of the other big technology players (i.e. Microsoft and Google), Apple isn’t usually one to want to share much of their fruit pie. So the news of a enterprise partnership between one of the world’s biggest consumer technology providers and the world leader in business IT networks & collaboration tools definitely turned a few heads to say the least, though the initial announcement didn’t have a huge amount of meat on the bone – a whole lot of “incredible” and “maximising potential” and “changing the world together” kind of talk. Now one year on, we start to get a much clearer idea of how this grand tech-duo are aiming to “reinvent teamwork and make sure you have a delightful experience“. 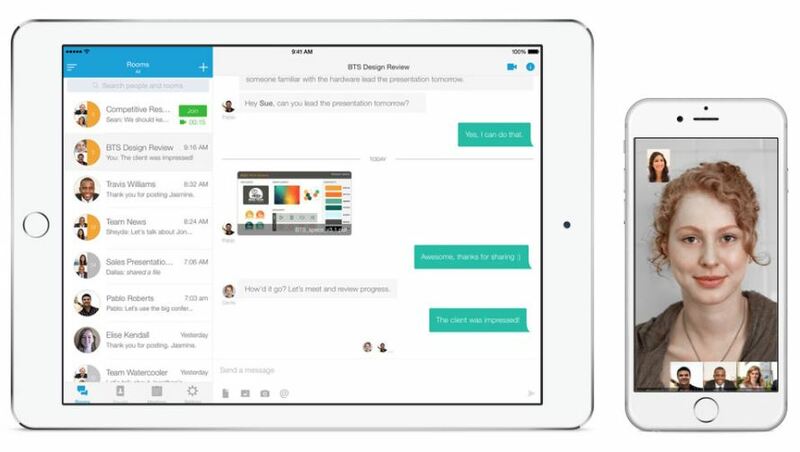 It’s no longer marketing blurb, however, but based upon many months of collaboration between Cisco and Apple engineers, designers and UI teams, to come up with rather tight-knit integration between the new iOS 10 and Cisco’s Spark cloud collaboration platform, plus some serious capacity on Cisco networking too. The integration of voice and the enabling of collaboration. Firstly, the iOS 10 release includes a brand new API called “CallKit“, which allows Cisco Spark to utilise the features of Apple mobile devices, whilst allowing users to use their iPhone/iPad in the way they are used to. iOS 10 unifies both mobile calls and VoIP (video and voice) calls, so the same experience for answering and interacting with calls and contacts is had by the user – tap a contact in your address book and instantly make a VoIP call without launching a separate app. Standard calls and Cisco Spark calls will ring on the locked screen, with the same features such as call waiting or mute. Ask Siri to call a contact via Cisco Spark, and it just works. Your recent call list displays regular calls and Cisco Spark calls combined, too. This complete integration provides a much more convenient way of collaborating and utilising the benefits of tools such as Spark, with the continuity of habit of using Apple’s legendary intuitive hardware. See Jonathan Rosenberg’s blog for more information on Spark, CallKit and iOS collaboration integration. Secondly, the combined forces of Cisco and Apple aims to make enterprise mobility efficient and smart. As people using an iPhone or iPad move around the workplace, iOS 10 intelligently finds and connects to the fastest available & best suited wireless access point. 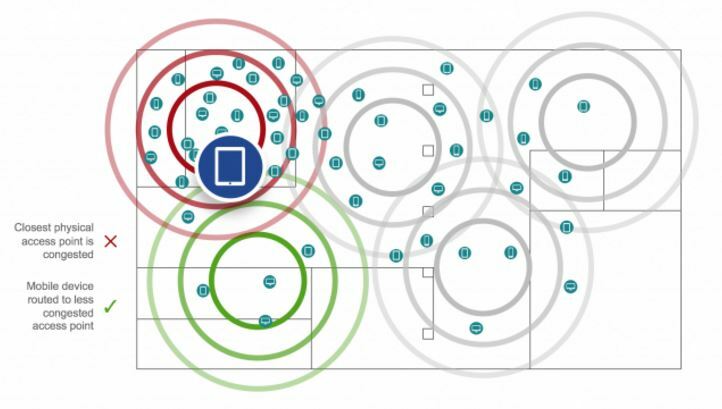 Achieved via a “virtual handshake”, the iOS and Cisco network works in tandem to decide on the most appropriate access point based upon more than just location, whilst minimising the number of AP’s the mobile device needs to scan, meaning faster connectivity, reduced network load & lower battery usage. Effectively, it’s a network that predicts your next move, transitions without interruption, and makes mobile video and voice in the enterprise far more reliable and seamless than ever before. Thirdly, iOS 10 and Cisco infrastructure is now able to prioritise business apps too. What does this mean? Well typically, all apps are given the same level of priority in a network, whether they are ones used for teamwork, or ones used for play. Those important to getting business done are sharing the same resources with non-business applications. Yes, most organisations will configure QoS on the infrastructure, but there has previously been no control between the app and the access point. Now, with iOS 10 and a Cisco wireless network, the most critical apps can be prioritised over non-critical, with IT able to set priority apps with a simple configuration profile, putting your most important business applications in “the fast lane”. Your Video Conference with the Director calling in on their mobile will no longer be competing with someone streaming Eastenders at lunch. What are the Results of these Solutions Combined? And what’s even better is for many, all of these features will be available the moment the iPad or iPhone is updated to iOS 10. Find out more about VideoCentric & Cisco’s partnership here or chat with the team at VideoCentric – we can help you get on board with Spark, arrange a visit down to Cisco to see the technology in action, or come along to see you with our experts and partners to help you transform your business communications.